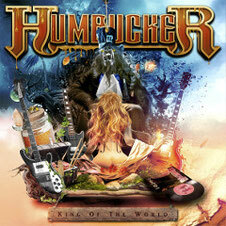 Norwegian classic rock band HUMBUCKER will release their 2nd album "King Of The World" through Music Buy Mail on April 10th 2014, following the highly acclaimed first album "R.O.C.K.S" (2011). The new album "King Of The World" was produced by Hallgeir Rustan who is one of Norway's most decorated producers and drummer Geir Arne Dale. The cover artwork was done by acclaimed French digital artist Ludovic Cordelières and UK graphic designer Hugh Gilmour has once again taken care of the package design. The interest generated by their first album which can be said the band had authentically resurrected the glorious sound of the classic rock bands of the 70s and 80s, gave the band a very good reason to record this album. The album is allready said to be the best rock album from a Norwegian rock band for the first time in decades. If you like music of such band as Kiss or Bad Company, AC/DC, Blackfoot, Molly Hatchet, Mötley Crüe, you sure will love this album. 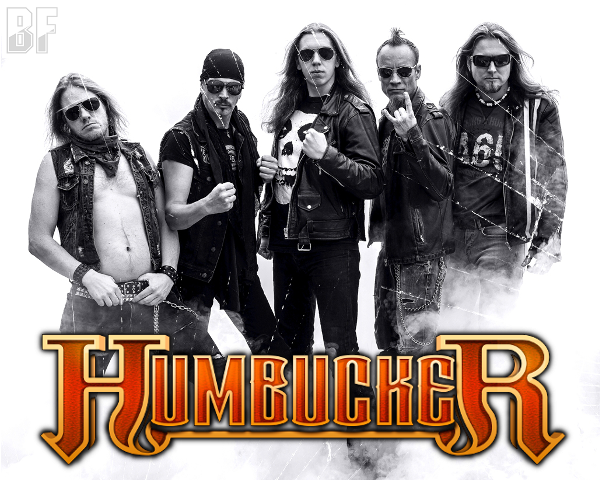 The band name HUMBUCKER is getting spread far and wide even in the USA and Japan.